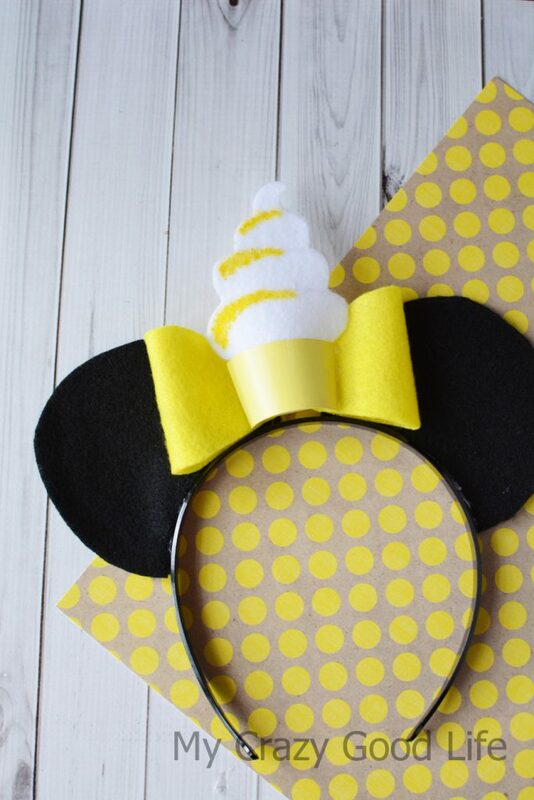 All the Disney fans out there know how important a good set of DIY Mickey ears are, right?! 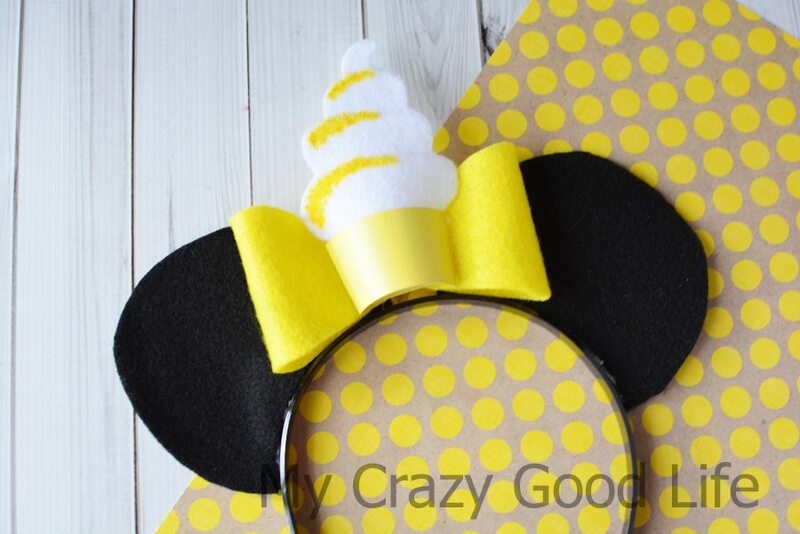 Well today I’m sharing with you a set of Dole Whip Mickey ears that are extra adorable. They celebrate everyone’s favorite Disney treat, the Dole Whip. If you can’t get to Disney anytime soon, don’t worry, we’ve whipped up some recipes that you can try at home! This 21 Day Fix Dole Whip, Dole Whip Margarita, and these tasty Dole Whip Cupcakes should hold you over until you can get to the parks for the real thing! I’ve linked some of the supplies below that you can get on Amazon if you don’t have them at home. 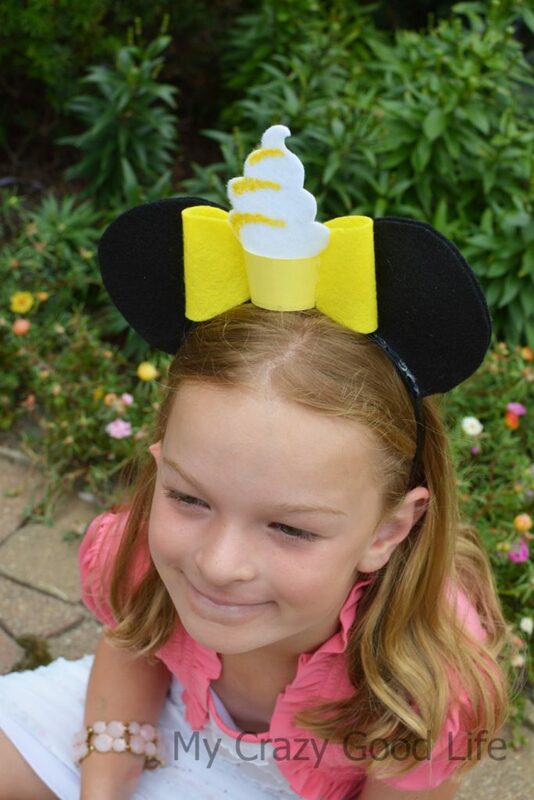 It’s a great way to get everything you need for the whole family to make their DIY Mickey Ears and of course, these adorable Dole Whip Mickey Ears! 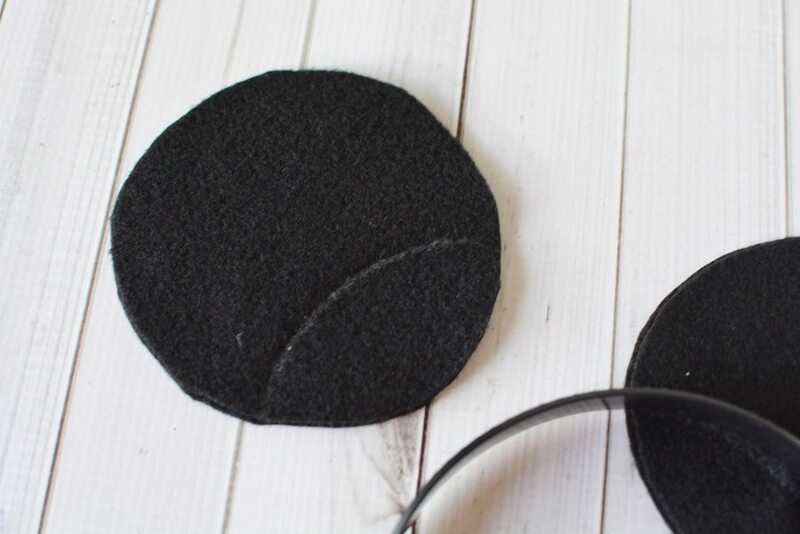 Use a small 4″ circle template, such as a bowl to draw a circle on the black felt with a white colored pencil. Fold the felt in half and cut 2 circles at one time. Repeat so you have four circles total. Place the headband onto the circles as you’d like to arrange your ears. 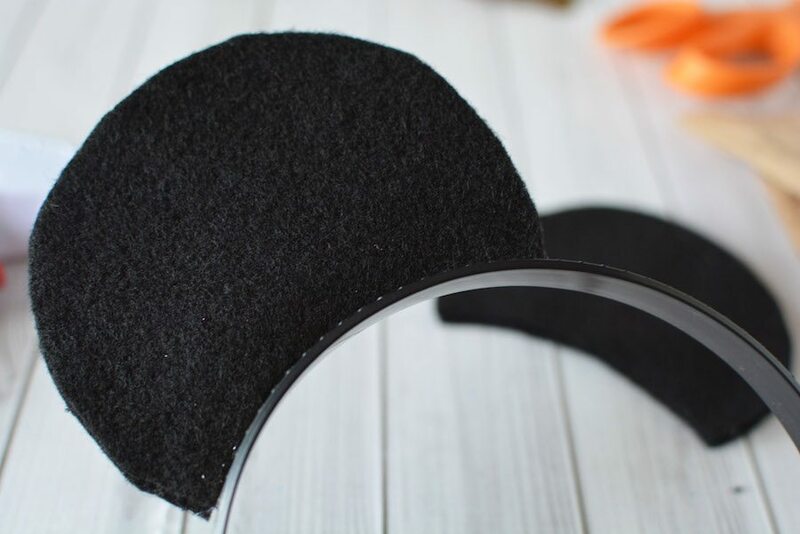 Trace the bottom of the headband onto the black felt circles with white colored pencil. Trim the ears and discard the excess felt. Glue the two ears together, then glue to the headband with hot glue. 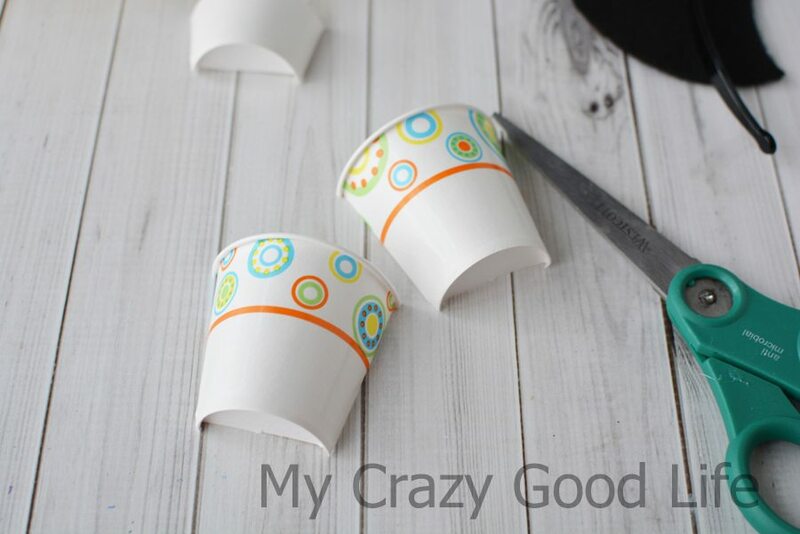 Cut a paper cup in half and then trim it smaller so it’s about 1.5″ tall. 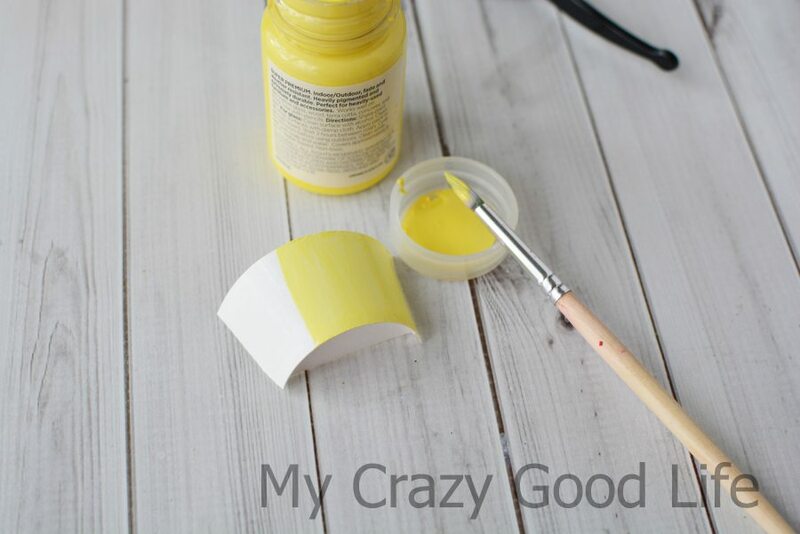 Paint the cup with yellow acrylic paint and set aside to dry. 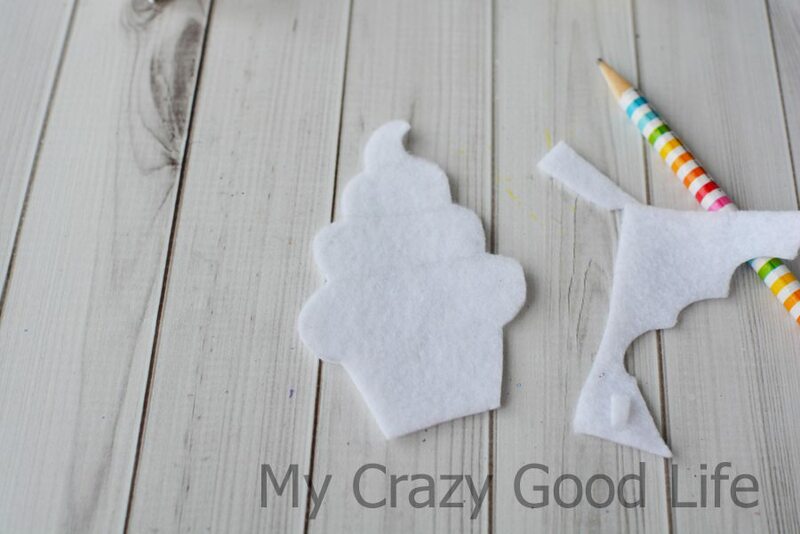 Draw a “whip” shape onto a 3″ x 4″ piece of felt, making sure there’s a base so it can go inside the paper cup. Cut it out with scissors. 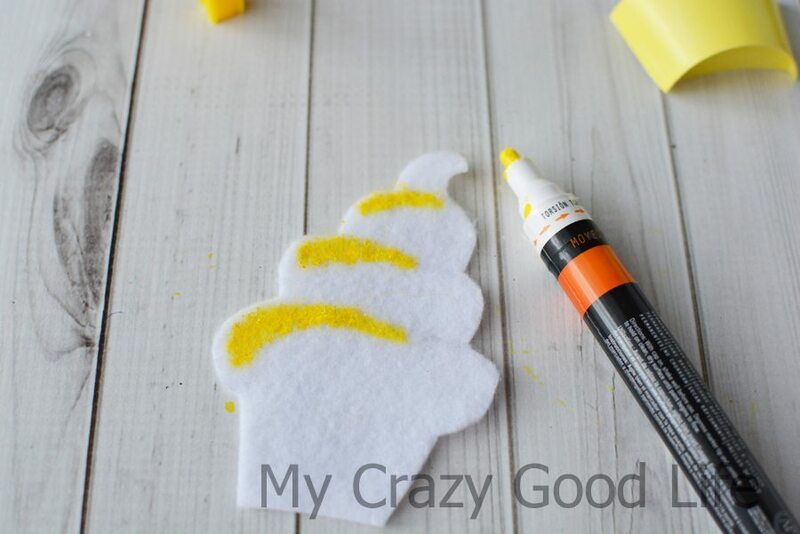 Use a yellow paint pen or yellow acrylic paint to paint some yellow detail onto the felt whip. Let dry. 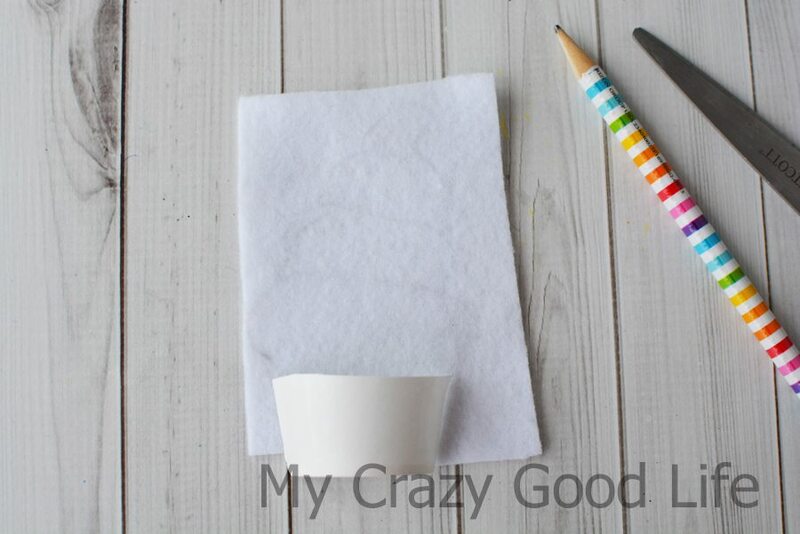 Place the white whip felt into the yellow cup and secure with hot glue. 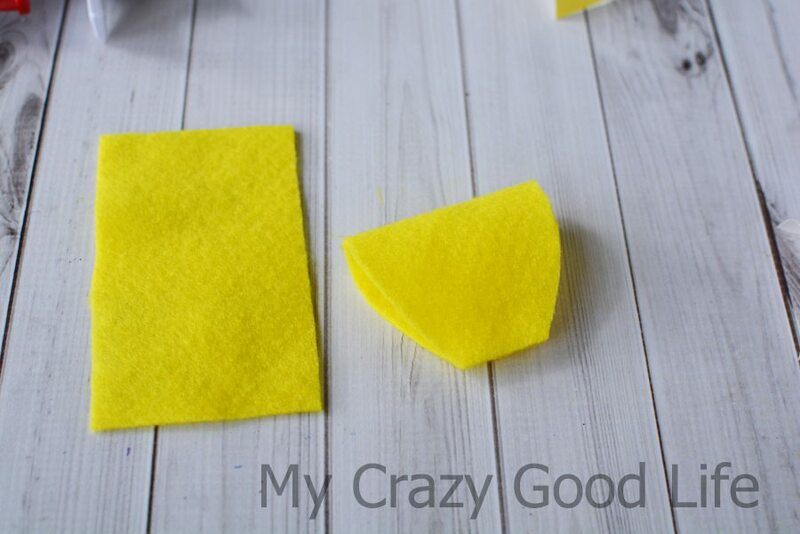 Cut 2 pieces of yellow felt 4″ x 2″. Fold in half and trim the felt on an angle to create a bow shape. 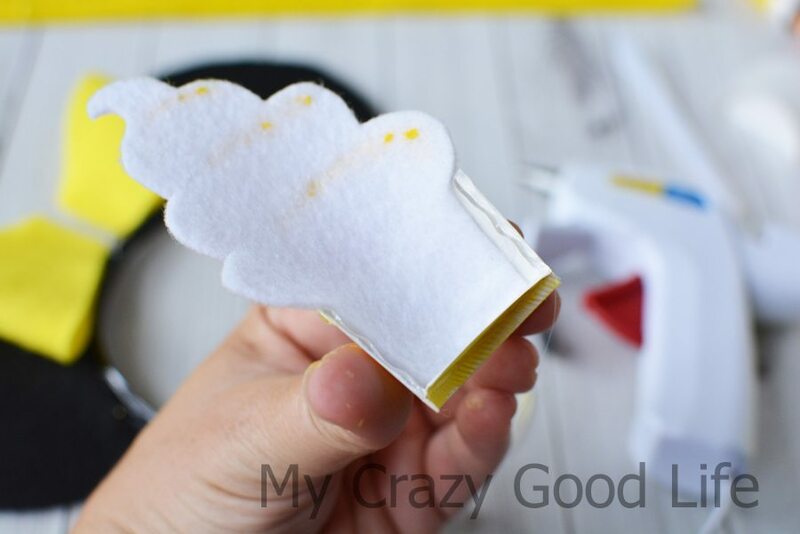 Attach the two open ends together with hot glue. Repeat for the other piece of felt. Secure the bow to the ears with hot glue. 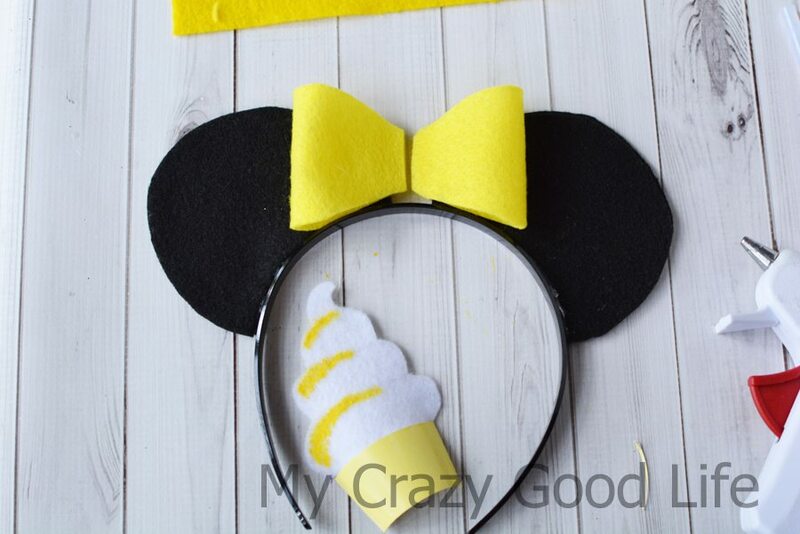 Use hot glue to attach the dole whip to the bow.